The National Association for Armenian Studies and Research (NAASR) will present the East Coast premiere of award-winning filmmaker J. Michael Hagopian’s documentary The River Ran Red on Sunday, March 22, at 4:00 p.m., at the Mosesian Theater at the Watertown Arsenal Center for the Arts, 321 Arsenal St., Watertown, MA. This special event is made possible through a generous contribution by Peter and Minou Palandjian. 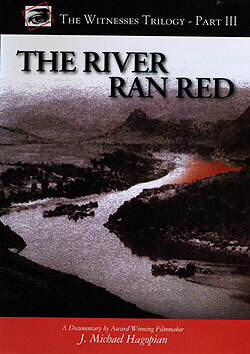 The River Ran Red is about Hagopian’s epic search for survivors of the Genocide who were sent to their fate along the Euphrates River to the Syrian Desert and Der Zor. Footage from many interviews with survivors carried out over several decades gives the film tremen-dous power and immediacy. 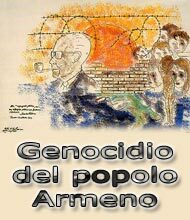 J. Michael Hagopian is a pioneer in the effort to document the Armenian Genocide through films such as The Forgotten Genocide, The Armenian Case, Where Are My People, Voices from the Lake, and Germany and the Secret Genocide. A post-screening panel discussion will include Dr. Hagopian joined by Prof. Taner Akçam, Kaloosdian/Mugar Chair in Armenian Genocide Studies and Modern Armenian His-tory at Clark University, Dr. Bedross Der Matossian, Dept. of History, Massachusetts Institute of Technology, and Marc A. Mamigonian, NAASR Director of Academic Affairs. Born in Kharpert-Mezreh in Historic Armenia, Hagopian has explored his roots and the history of his people through the medium of film and won critical acclaim, including two Em-mys for the writing and production of The Forgotten Genocide, the first full-length feature on the Armenian Genocide. In all, Hagopian’s work encompasses nearly 400 “witness” interviews and twenty years of research. In 1979, Hagopian founded the non-profit Armenian Film Foundation to document Ar-menian culture and instill pride in Armenian youth worldwide. Since then, he has been leading the effort to raise funds and create the “Witnesses” trilogy on the Armenian Genocide. Hagopian holds a doctorate in international relations from Harvard University and an undergraduate degree from University of California, Berkeley. Having left Armenia as an in-fant, he grew up in Fresno, California, before moving to Los Angeles as a teenager. Admission to the event is $10.00 ($6.00 for students with valid i.d.’s). Tickets are avail-able in advance at the NAASR Headquarters and will be on sale at the Mosesian Theater on the day of the screening. Advance purchase is recommended. Free parking is available in the adjacent Arsenal on the Charles parking garage. More information about the film showing is available by calling 617-489-1610, faxing 617-484-1759, e-mailing hq@naasr.org, or writing to NAASR, 395 Concord Ave., Belmont, MA 02478.